As the CDC has stated, the 2017-18 flu season was the worst since 2009, and our region continues to report outbreaks. Keeping children healthy and in school is more critical than ever, and proper handwashing is an important component of this. With this goal in mind, and in partnership with the SDP, Essity launched a hand hygiene education program with the SDP. Essity partnered with Temple University’s College of Public Health to complete an evaluation of the program while it was implemented. 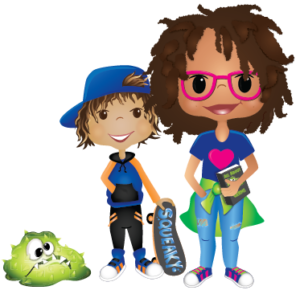 The study will measure the impact that hand hygiene education has on student behavior. Results of the study will be available later this year. 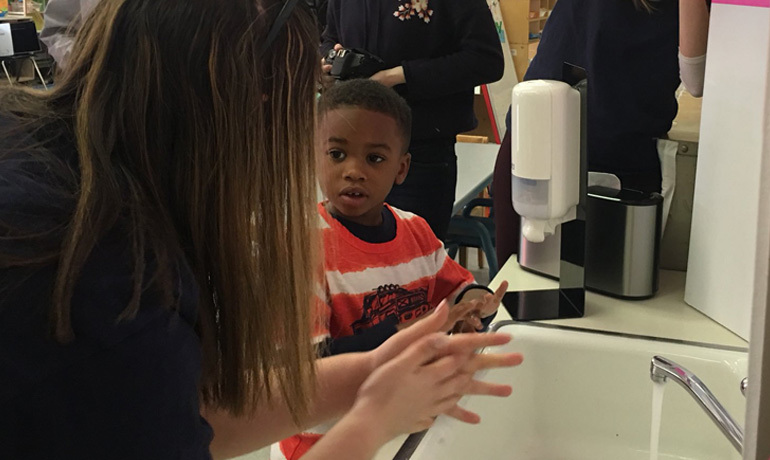 During the program which began in January 2018, approximately 200 PreK students at the Pratt School and the Fitzpatrick School received education on how to properly wash their hands. To mark the last phase of the program, SDP officials tested their own handwashing skills using the ‘black light test’ that the students used during their Essity hand hygiene education – officials rubbed lotion on their hands (that’s the ‘germs’), then held their hands under the black light to reveal the germs, then washed their hands, then came back to the black light to reveal whether they successfully removed the germs from their hands.